5 Beds 3 Baths 2,615 Sq. ft. 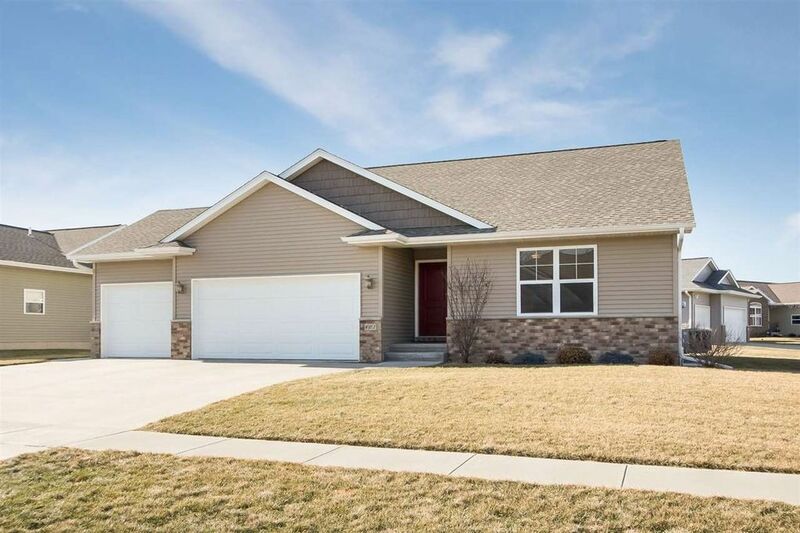 Wonderful open design with some eye catching features located in desirable Prairie Acres Subdivision on a spacious corner lot and new in 2013! Make a visit and you are sure to be impressed with the dramatic 11 ft. cathedral ceilings and warm maple wood flooring through much of the main level; fantastic kitchen that boasts stainless steel Whirlpool appliances including a French door style refrigerator and gas range, raised bar, rich oak cabinetry, pantry, and a custom tile backsplash; tile fireplace with mantle; brushed nickel fixtures; 1st floor laundry room with front load washer/dryer; master suite with an extra deep walk-in closet and full bath; expansive lower level family room with lots of recessed lighting; loads of unfinished storage space; 4 of the 5 bedrooms with walk-in closets; 11x14 deck; security and radon reduction systems; 3 car garage; and high efficiency equipment! Directions: 180th St./5th St. East From Hwy 1 to Raymond Dr. (Corner of Raymond & Plum).